Leading Manufacturer of interesterification plant from Mumbai. Backed by rich industry experience, we have been able to manufacture and export a wide range of Interesterification Plant to our clients. Interesterification Plant is one of the three main fat modification techniques (the other two techniques include fractionation and hydrogenation). These products are highly appreciated for its unique features. 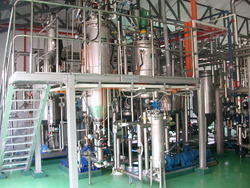 Looking for Interesterification Plant ?